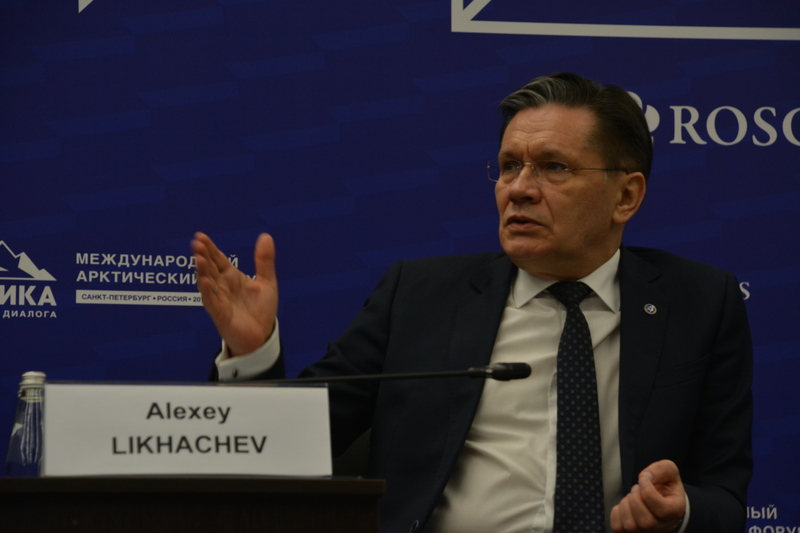 The number is 92,6 million, Aleksey Likhachev made clear as he took the floor in this week’s Arctic Forum in St. Petersburg. And it will be done by year 2024, in line with President Putin’s so-called May decrees, he confirmed. The May Decrees is the 5-year plan presented by Putin after his re-election to the presidency in 2018. It includes 80 million tons of shipments on the Northern Sea Route per year by 2024. Rosatom, however, believes it can do even better and intends to over-fulfil the President’s target by more than 12 million tons. It appears as fantacy figures. However, with Russia’s major current stress on Arctic developments, hardly anybody dares to rule out the perspectives. In 2018, shipping on the route amounted to 20 million tons. Included in the updated plan from the nuclear power company is 41 million tons of liquified natural gas from Novatek’s Yamal LNG and Arctic LNG 2. The latter will provide 22 million tons. Included is also 17,5 million tons of oil, five of it from the Vankor area, another five from the Payakha field and 7,1 million from Novy Port. Coal will constitute a substantial part of the picture with a total of 23 million tons, 19 million from the Taybass basin in Taymyr Peninsula and four million from the Syradasayskoye field. Included is also eight million tons of goods to be delivered through the Northern Latitudinal Passage, the projected railway line that will be connected to Sabetta, the new sea port in Yamal. These goods will be produced other places in Russia, and then exported out through Arctic waters, Rosatom explains. In addition comes the nickel ores shipped out of the area by company Nornickel, as well as the goods annually delivered to settlements located along the Russian Arctic coast, the so-called Severny Zavoz. The list also includes 1 million tons of transit shipments along the route between Asia and Europe. However, as highlighted by Russian Deputy Minister Maksim Akimov, major uncertainties remain linked with these shipments. «This is a very complicated and technologically difficult task,» he said and underlined that the southeast Asian region is a highly competitive region and that freight companies will need favourable prices and that shipment time limits need to be met. It is Rosatom that has got the prime responsibility for the development of the Russian Arctic route. A new law adopted in December 2018 gives the state company key responsibility for state policy on the Arctic, as well as development of regional sea ports and infrastructure objects. A new Northern Sea Route Directorate was established by the the company last year. That includes the Atomflot base and the icebreakers, as well as the state Hydrographical Company. 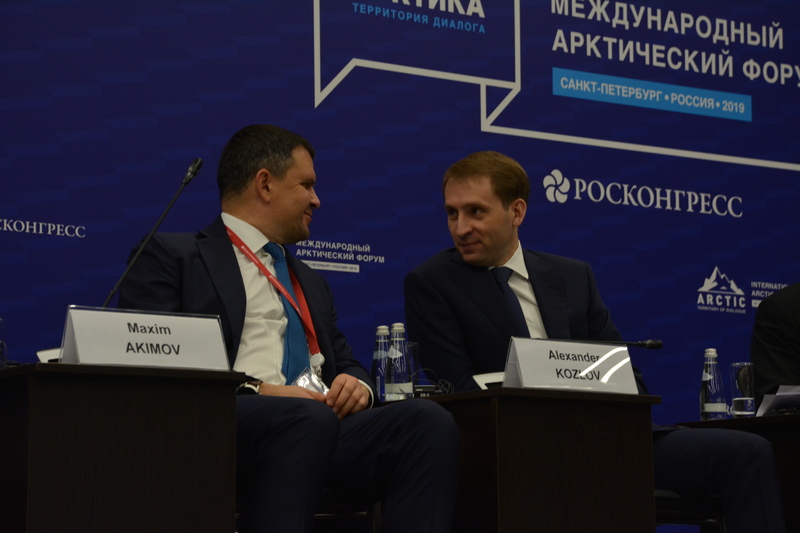 «We want to express gratitude to the government for taking the decision to make Rosatom the infrastructure operator of the Northern Sea Route, and we promise to deliver both with regards to national objectives and International ambitions», Likhachev underlined as he presented his company’s visions. At its disposal will be a rapidly growing number of nuclear-powered icebreakers. By 2024, the company expects to have three new LK-60 icebreakers ready, the «Arktika», «Sibir» and «Ural». Six years later, the fleet of icebreakers will grow with another two new LK-60 vessels, as well as one new «Lider», the super-powerful 120 KW vessel. Then, in 2035, another two «Liders» will be on the water, Likhachev told the conference audience. 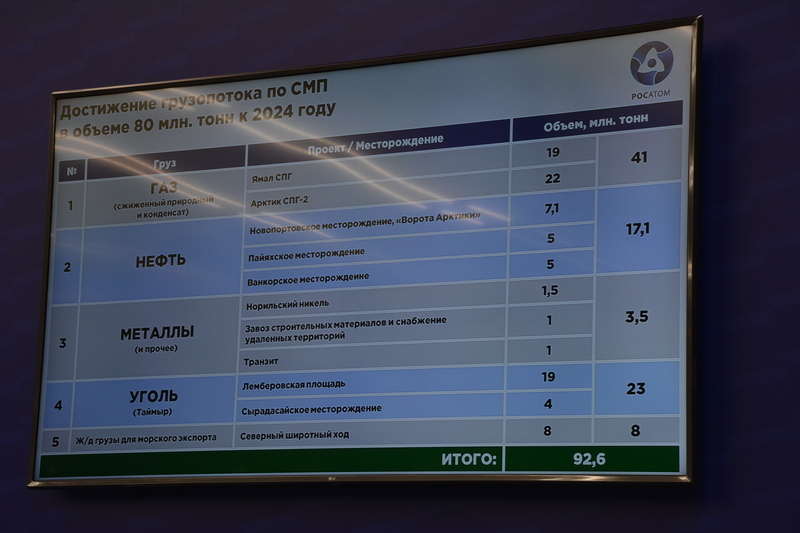 The new figures presented by Likhachev and his Rosatom are significantly higher than estimates recently presented by the Ministry of Natural Resources. The Ministry believes shipping on the Arctic route could total 77 million tons by 2024. Those figures do not however foresee the building of the Northern Latitudinal Passage and subsequent possibility to ship out goods produced elsewhere in the country. Judging from Likhachev, we now only see the start of what will ultimately become much bigger. By 2030, the goods volumes on the Northern Sea Route could total up to 120 million tons, and that only in the east-bound direction, he told the conference participants. 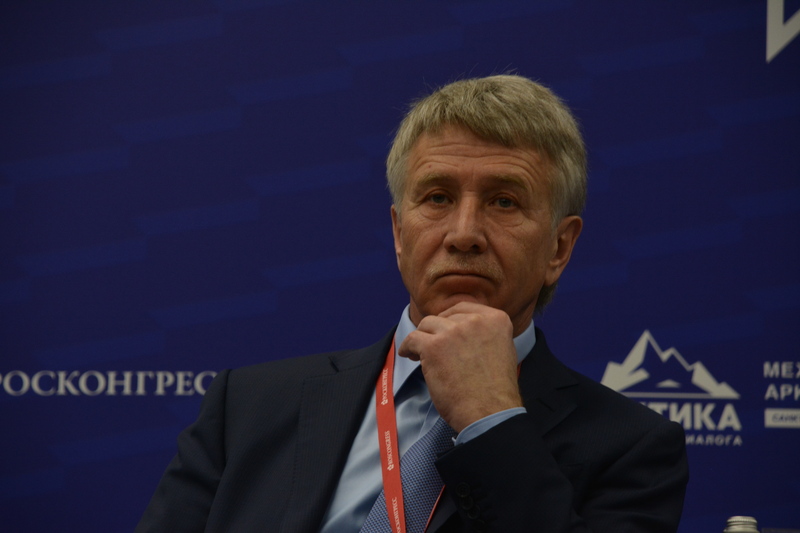 Those estimates are backed up by Leonid Mikhelson, who in the same conference session made clear that his company Novatek now increases its production estimates for the region. Up to 70 million tons of liquified natural gas will be produced in the area of peninsulas Yamal and Gydan by 2030, he said.